Sonic: Lost World has been getting mixed reviews, to say the least. There seems to be one side that thinks Sonic should be all about speed, while the other says that Sonic should be about platforming with a dose of speed mixed in. 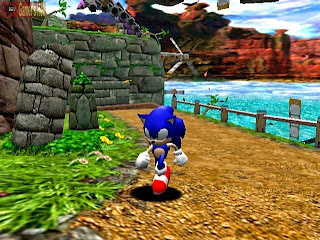 The latter side is the one we agree on, as the Genesis Sonic the Hedgehog games focused on a nice balance between speed and jumping. There were plenty of places to zoom, but there were also lots of methodical sections. Regardless, here is the European launch trailer for the Wii U version of Sonic: Lost World. How many Sonic fans are going to pick this game up, or are even going to buy a Wii U for it? The PlayStation 4 is officially less than one month away from its North American release, and in a handful days we'll be one month away from the Xbox One's North American launch. It seems like a good opportunity before the real craziness of the eighth generation begins to take a step back and ponder the great launch titles of gaming history. Our crack team of three staffers put our heads together (which hurt, by the way) to devise this list of what we deem the best games to launch with their respective systems. We've selected these games by industry impact and entertainment factor. Many games, systems and generations will be represented, so after we've finished listing and explaining ourselves, chime in with your picks! Note: The majority of these games are based off of North American system launches. 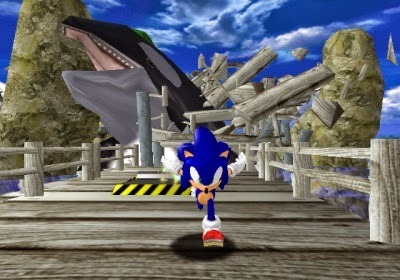 Kicking off the sixth generation of home video game consoles in style (and this list of ours), Sonic Adventure sped onto SEGA's ill-fated Dreamcast in style. The sheer velocity of the action amazed, as did the then-impressive visuals. 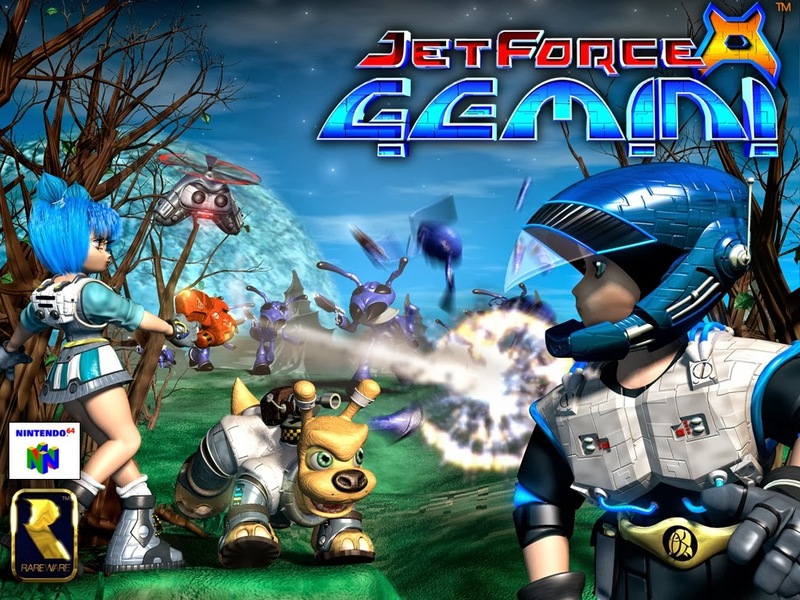 Being able to jet around in the fully 3D environments, get chased by a whale in Emerald Coast, and go through a loop-de-loop for the first in 3D were all things that we won't soon forget in our storied gaming careers. A lot of what we have fondness for is due to nostalgia, as playing Sonic Adventure in the present is mostly an effort in frustration, where glaring flaws stare the player right in the face. 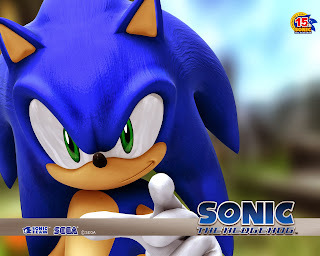 However, there's no denying how positively way past cool Sonic's first Dreamcast outing was when it originally debuted. At first glance, the Nintendo GameCube wasn't an imposing piece of hardware. It actually looked quite innocent. However, it was, in fact, a more powerful console than the PlayStation 2, with power that rivaled the Xbox. A launch title that showcased the muscle of the purple lunchbox was Star Wars Rogue Leader: Rogue Squadron II, a sequel to the popular Nintendo 64 flight-based combat game. Factor 5 (may they rest in peace) really got a sensational amount of power out of the GameCube right from the get-go. 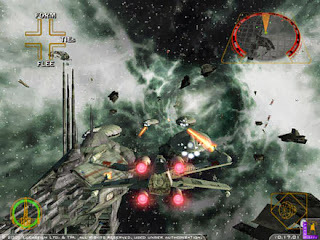 Rogue Squadron II was also a very fun game, allowing players to relive many movie moments from the original trilogy, as well as visit a wide array of Star Wars universe locals. Luigi might have had a mansion at the GameCube's launch, but we were too busy shooting TIE Fighters out of the air to notice. 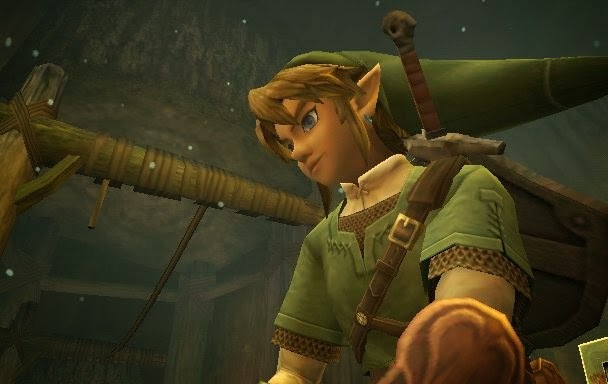 Sure, one could eventually find this next game on the GameCube if they waited the extra month, but having a new entry from The Legend of Zelda series right at the launch of a new Nintendo console? It had never happened before, and it was too tempting of an offer to pass up for many. 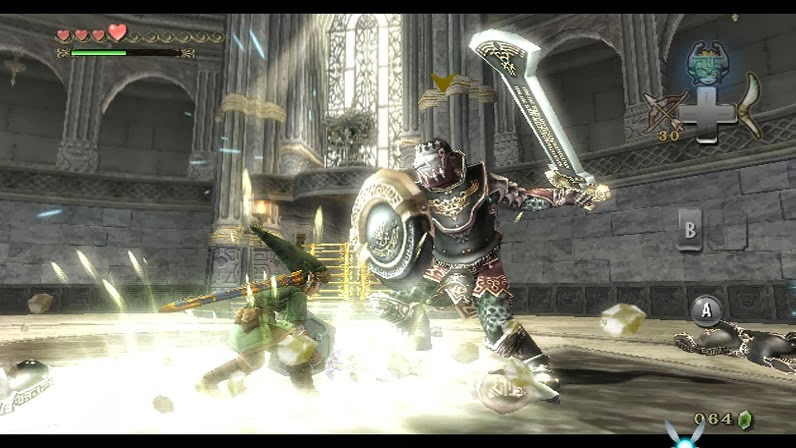 Of course, Twilight Princess wasn't the only launch game to stir opening sales of the Wii (that other game will be on the list later on), but it certainly wasn't a detriment. Being able to swing the sword with the Wii Remote, control items like the Gale Boomerang and the Clawshot by pointing at the screen, and taking in the new version of Hyrule were all activities that were fresh and exciting at the time of the Wii's launch. 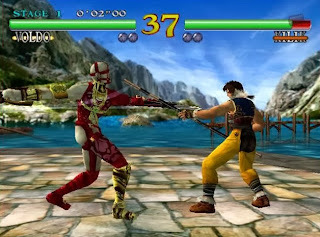 Alongside Sonic Adventure, another Dreamcast launch title that impressed was Soulcalibur from Namco's Project Soul. It was one of the small sampling of console games that outdid its arcade original in the graphics department. 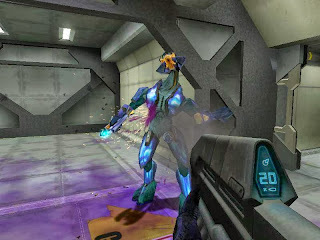 It didn't hurt that the game was an excellent eight-way fighter and introduced weapon-based combat. 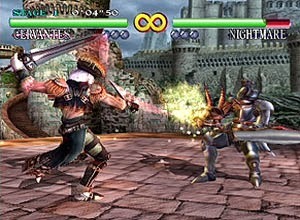 Soulcalibur amazed when it launched with the Dreamcast way back on 9-9-99, and it still amazes and has a fervent fan base to this day. 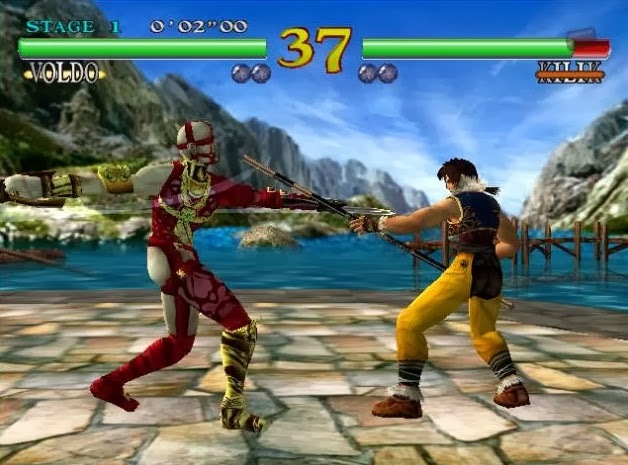 It may not be an original game (it was an arcade port, as stated), but Soulcalibur bolstered the exciting launch lineup of the SEGA Dreamcast. We don't know what the fate of the Xbox would have been had it not been for a little first-person shooter known as Halo. Nintendo had the FPS market on home consoles mostly to themselves with the Nintendo 64, but they eschewed that with the GameCube. 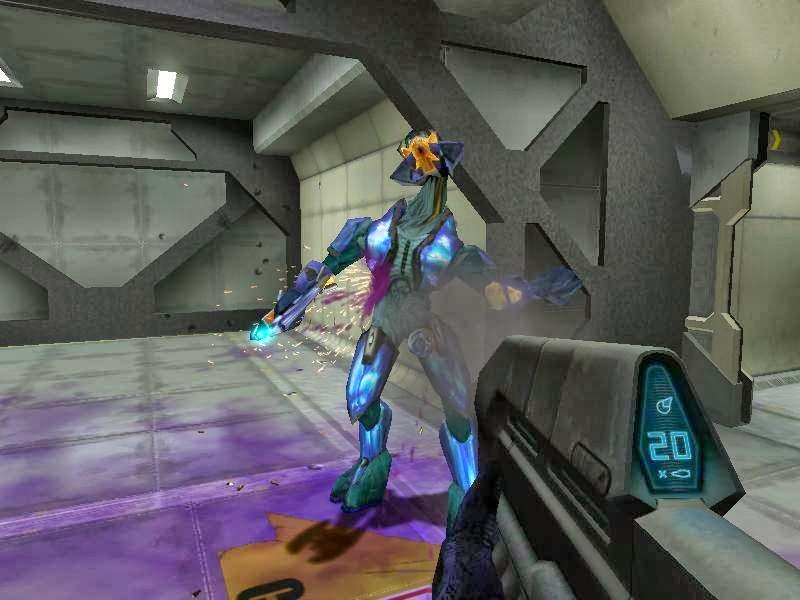 Thankfully for FPS fans with home consoles, Microsoft, more notably Bungie, jumped in to provide one of the best first-person shooters on home consoles. 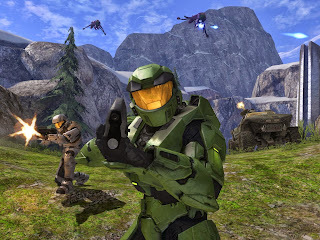 It was truly a killer app for the Xbox, and it's probably safe for us to say that without it, Microsoft's first console attempt wouldn't have been anywhere near as successful as it was thanks to Halo. 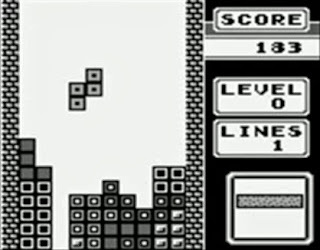 An agreement allowed Nintendo to bundle Tetris with every Game Boy shipped to retailers. That decision would be an exceptionally smart one, as Tetris was the quintessential pick-up-and-play game. Players could sit down for small sessions to lengthy endurance marathons. It didn't require colorful graphics, of which the original Game Boy obviously had none. No, Tetris was a puzzle concept that took to many gamers. Nowadays, we take Tetris for granted, as it is on every imaginable device known to man. 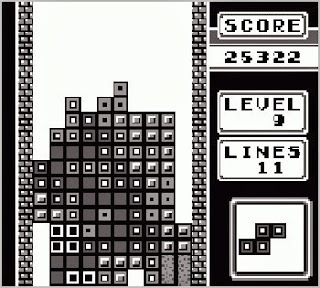 However, Tetris is is without question a major reason for why the Game Boy sold so well and began the handheld dynasty of Nintendo. Alluded to in the Twilight Princess blurb, there have been few games on the market that have gotten attention from both the non-gamer and the gamer. 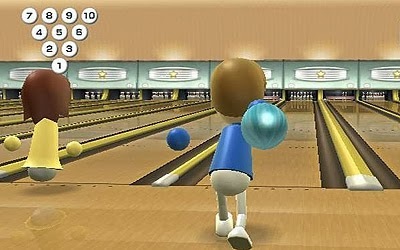 Wii Sports bridged the gap, allowing people who had never played a video game before to get up and enjoy themselves. These weren't some low quality, low effort series of sports either. Each one offered a reasonable amount of depth-- enough to satisfy gamers while not being inaccessible to non-gamers. 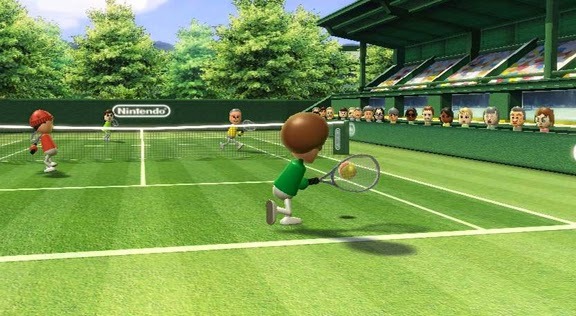 Wii Sports sold Wiis so well due to its simplicity to market. Nintendo really didn't have to explain anything. They simply had to show people playing, and then others got it. 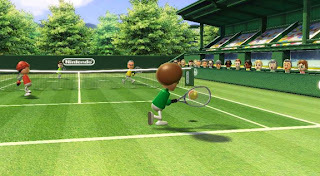 Without Wii Sports, the Wii might not have been the great success that it no doubt was. While Wii Sports was a game that is on this list due to impact, both in the industry and culturally, Super Mario World leaps onto this list for the reason of its pure brilliance. It is simply put, an excellently crafted platforming experience that ushered in a new era of Mario. The 16-bit processor of the Super Nintendo/Super Famicom allowed for a wider palette of colors, offering more detail than had been seen previously. 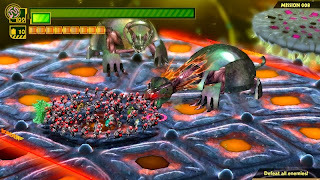 Levels were longer than past games in the series, delivering new challenges, surprises, and obstacles with each stage entered. Super Mario World blew our minds growing up, and it was one of the original games we played that sparked our imaginations. Wii Sports delivered industry and cultural impacts. Super Mario World delivered an outstanding game. Super Mario Bros. delivered both, pretty much bringing the gaming industry in North America back from the abyss by itself. It was more complicated than many of the other games seen on any platforms. 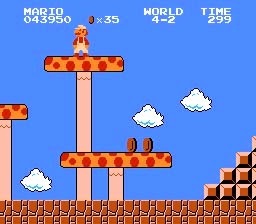 Super Mario Bros. was a side-scrolling juggernaut with secrets permeating from every orifice, a difficulty that was just right, and design that is still paralleled to this day. One might argue that the magic of Mario has disappeared in modern days, but as long as memories of such titles like this remain (and Nintendo keeps putting out titles like Super Mario Galaxy and Super Mario 3D Land), that kind of argument is pure folly. Super Mario Bros. was to itself a revolution, but Super Mario 64 crafted one of the biggest revolutions in gaming history. It successfully brought Mario and Nintendo as a company into the 3D arms race. Many games had tried and failed in producing a working 3D game, but Super Mario 64's developers made it look effortless. 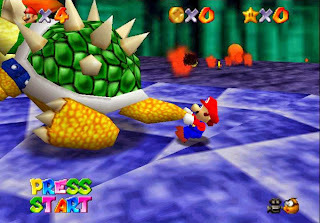 There is no game today that doesn't owe some (even if it's .0001%) of its design and/or success to Super Mario 64. 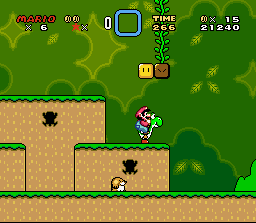 It inspired a whole generation of gamers, much like many of the Mario games that preceded it. It brought about many copycats and imitators, and it created the foundation and bar that many games would be judged by to this day. It's because the game was of the utmost quality through and through. 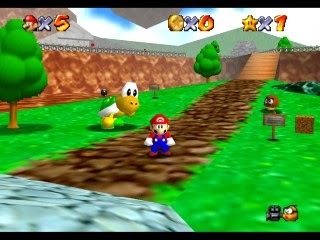 It is for these reasons that we choose Super Mario 64 as the best launch game ever made. Party Phil?! Why do I like that name so much...? Regardless, Wii Party U is coming soon to Wii U systems near you. With over eighty unique party attractions, multiple modes, and tabletop games that are available to play purely on the Wii U GamePad, Wii Party U is shaping up to a party for the ages. Wii Party U arrives on store shelves on October 25. Okay. Now has everyone who doesn't want to see spoilers exited from this article? Good. The ever-popular Best Boss Battles in Gaming History is back with its tenth installment! Who knew that an innocent little article regarding fun boss fights could grow to be a series that has reached ten parts? Regardless, it's time to get serious with five more exquisite encounters against creatures and villains both big and small. On this part of Best Boss Battles in Gaming History we have bosses from Super Mario Galaxy, The Legend of Zelda: The Wind Waker and Luigi's Mansion: Dark Moon! If you missed a previous installment of this series, check out the links below! 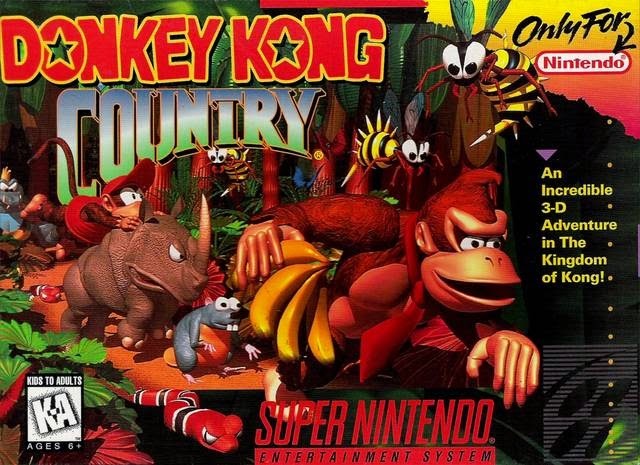 We started the week with the usual, SuperPhillip Central's Favorite VGM. Now, on the same day, we let loose a brand-new review for your reading pleasure. 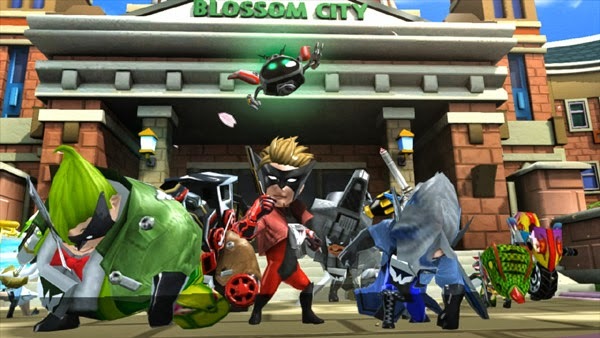 The Wonderful 101 has been receiving a slathering of reviews on both sides of the spectrum. Where does SuperPhillip Central fall in its judgment? Find out with our review. 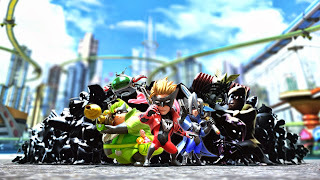 Platinum Games has a solid reputation of coming up with action-packed, manic, usually brutally challenging, gaming experiences. When it was announced that Nintendo and Platinum Games were joining forces for two games, many grew excited for the possibilities. 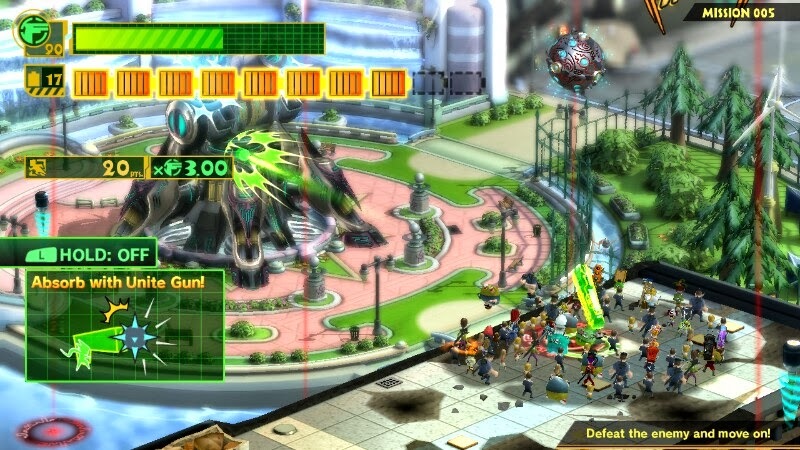 While the second game of the partnership won't be released until next year, the Wii U and its owners have gotten a first taste of what Platinum Games is made of with the delightfully wacky The Wonderful 101, without a doubt inspired by Japanese superhero shows such as Super Sentai. Should Wii U owners unite up and purchase this game? 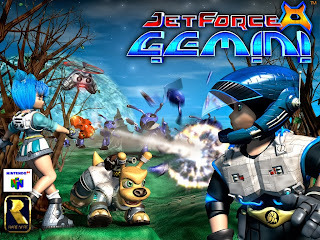 It's been twenty years since the Earth invasion by the forces of GEATHJERK. A group of heroes fought them from the face of the planet. Now it is the present day and an alien invasion has once again hammered Earth. Riding in a school bus with his students, Mr. Wedgewood gets caught right in the middle of the action in Blossom City. Making sure his students stay away from the action, Wedgewood pulls out a necklace with a special insignia hanging from it and transforms into Wonder Red! It's time for the Earth's greatest defense, The Wonderful 100 to team up and take it to the GEATHJERK alien army. 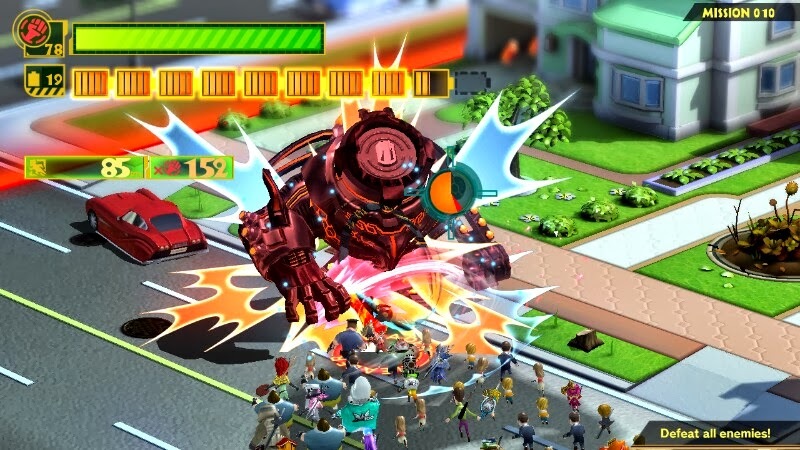 Right from the get-go, The Wonderful 101 is an absolute adrenaline rush. You're constantly thrust into insane moment after insane moment, and each time you ask yourself, "there's no way Platinum can top this moment, is there?" Then they do, and then you just stare in awe at what unfolds in front of you. 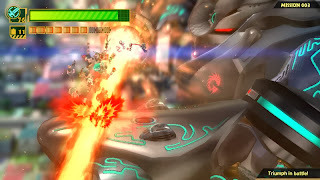 In my play time with The Wonderful 101, I fought on the arms of a massive robotic menace, I played a Punch-Out!! inspired boxing match with a machine of even more colossal size, I piloted the Virgin Victory, ship of the Wonderful Ones, through a climactic scene of firing lasers and falling buildings, and I flew through an expansive fleet of enemy ships in an ultra-powerful robot. Each moment far outdid the last. Each moment put a stupid smile on my face. The Wonderful 100 can feel the burn. 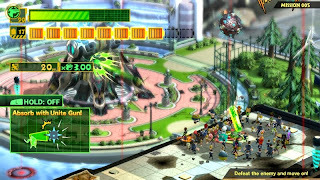 The Wonderful 101 is designated as a mass hero game. As long as there is battery power to work with, you can draw a symbol either on the GamePad touch screen itself or use the right analog stick to unite up with your other heroic brethren to take the form of a myriad of objects. Wonder Red summons a mighty red fist to smash through foes' defenses, while Wonder Blue calls on the power of his Valientium Blade, able to slice and dice through enemies like butter. Each of the main cast of Wonderful Ones has their own special power, and these need to be cycled through to solve puzzles, find enemy weaknesses, and uncover hidden areas. I find myself going back and forth between using the GamePad to draw symbols and using the right stick of the controller. It simply depended on what was easier to do for a given shape. For instance, I can easily do Wonder Pink's whip as it is as simple as an "S" shape, while Wonder Yellow's hammer is more complicated to draw, better saved for the touch screen. The basic flow of The Wonderful 101 is to move from battle area to battle area, where missions primarily take place, while doing some exploration of each level, participating in platforming, and solving environmental puzzles in between these segments. You'll come across places where a circle of citizens cry for help. Drawing a loop around them brings the group to your side as temporary superheroes. Hey, the Wonderful 100 don't discriminate! Alongside hiring new heroes, there are plenty of hidden goodies to collect throughout each level. 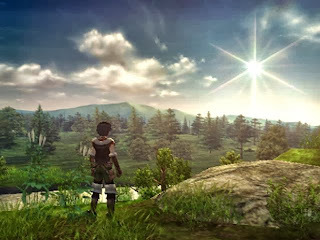 You can find platinum coins, hidden figurines, data files on Wonderful Ones and enemies, as well as special heroes to join your brigade of bravery. Additionally, there's segments of the game where you'll enter into special indoor areas and be forced to rely on the GamePad screen to see the action. These segments are an interesting experiment, but the game would decidedly be a bit better off without them. Outside of exploration, there comes the fights-- most of which occur in confined areas, cordoned off by red walls. Battles are vintage Platinum Games. The Wonderful 101 is no button masher. You're free to try that approach, but you'll soon find yourself on the receiving end of a pain sandwich rather quickly. No, The Wonderful 101 is a test of skill first and foremost. Through utilizing Unite Morphs (i.e. Wonderful One's special moves), you can lay the hurt on enemies. You can even assign part of your group of heroes to unleash one or several Unite Morphs while you attack directly with your own, a great approach to a swarm of enemies, or a baddie with a massive amount of health. this Unite Morph, the whip. 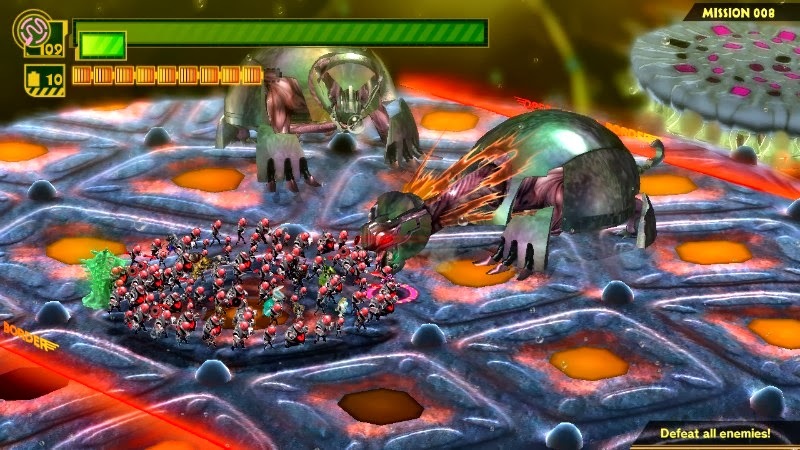 Additional abilities can be purchased with in-game currency, such as turning into a mound of gelatin at the last possible moment to deflect a foe's attack. However, that move, Unite Guts, won't work on every attack. For those other kinds of attacks, it's better to simply evade with a press of the R button. You are graded upon how fast you completed a given mission, how high of a combo you acquired, and how much damage you took. Depending on how well or how poorly you do, you can get anywhere from the best rank, the pure platinum, to the worst rank, the embarrassing consolation prize. As there are five difficulties, each with separate ranks for each level, it is a true test of skill and endurance to get all pure platinum ranks in every mission of every level on every difficulty. 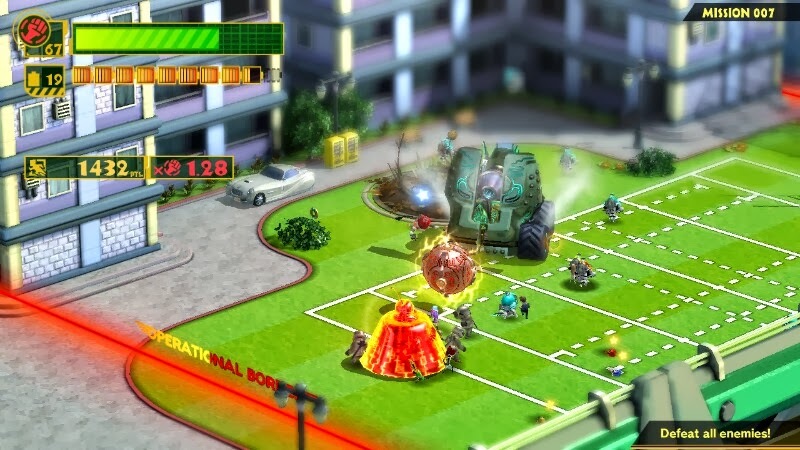 Some of the difficulty of The Wonderful 101 doesn't come from skill-required areas. No, the game can be a little hard due to the sometimes poor camera. While you can zoom in and out with the ZL and ZR buttons most of the time, on some occasions you just can't get close enough or far away enough from the action to either legitimately see what is going on (a problem compounded by all of the flash that goes on during battles), or legitimately have a full view of what dangers lurk around you. 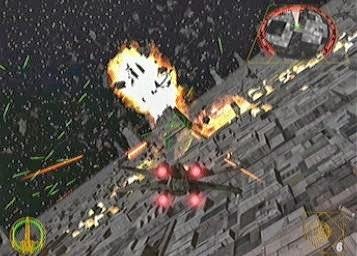 There's nothing more frustrating than taking out an enemy close by when suddenly a laser takes you out from clear across the battlefield-- one that the camera was too close in to see. camera can be your worst enemy. The Wonderful 101 also suffers from sometimes being too obtuse. This isn't a problem with the small amount of tutorials. In fact, that is a welcomed feature. Instead, it's more that there are situations where I simply didn't know what to do. One such segment had me at a boss fight. What the game wants you to do is to fill the eye of a behemoth robot with your Wonderful Ones. However, after multiple times attempting this and getting nowhere, I had to turn to Miiverse, which is what it's for, for the most part. Turns out I needed 100 heroes to completely fill the eye, and I needed to attack the boss's head to have more heroes get called in. Without the help of some kind folks from Miiverse, I probably would have never figured it out. What's even more annoying is when I didn't know what to do, and I was at a part of the game where I had to do an action quickly or die. I can think of few things worse than having little time to work with and having to figure out what to do just to survive. Helpful prompts like this are always welcome. 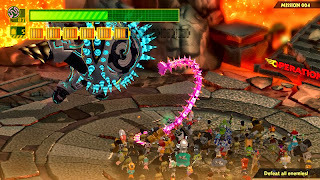 Lastly, my other beef with The Wonderful 101 is the length of levels. Now, there's are nine operations, most of which have three levels to them. The third level is always a boss encounter. Some levels are just way too long. To my knowledge, there is no option to save your progress mid-mission. This means the game is hardly one you can pick up and play in relatively short bursts. This also makes Pure Platinum runs highly obnoxious, as one mess up usually means you have to restart the entire level. Most players probably won't care about the last one, as they might just play through the game once and call it a day. Beating The Wonderful 101 will take anywhere between 15-20 hours. There are five difficulties, allowing every skill level to have a good time with the game. In addition to all of the hidden goodies placed in levels to collect, there are also a bevy of achievements to obtain. These unlock the most secret of characters in the game to play as. If you're worried about a shortage of content, don't be. There's much to do and much fun to be had. Have friends who want in on the action? Multiplayer events are always an option. 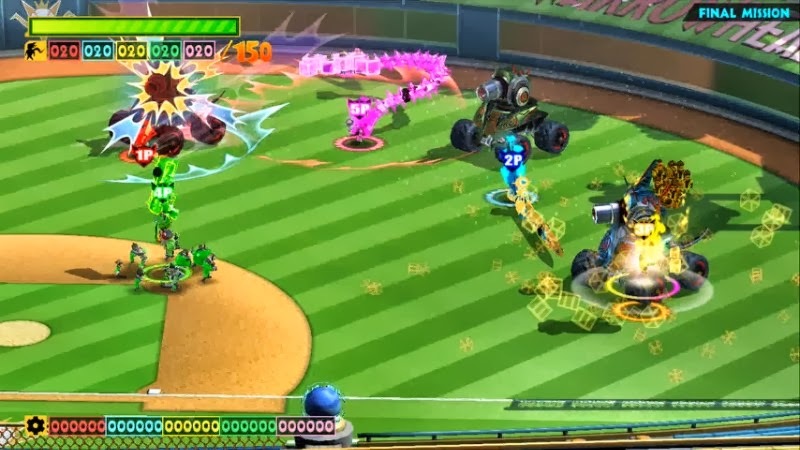 The Wonderful 101 is a sensational game to look at most of the time. Areas are colorful, detailed, and have a lot going for them. It's impressive to see a whole host of heroes, enemies, and effects on screen at the same time without much in the way of slowdown. Sometimes, however, this can be too a detriment. It can be hard to see your attacker, and you can get blindsided. Things can get a little too busy. Close up, the Wonderful Ones and civilians are rather low poly compared to other objects and enemies within the game. It's only noticeable when zoomed in, and even then, it's serviceable. 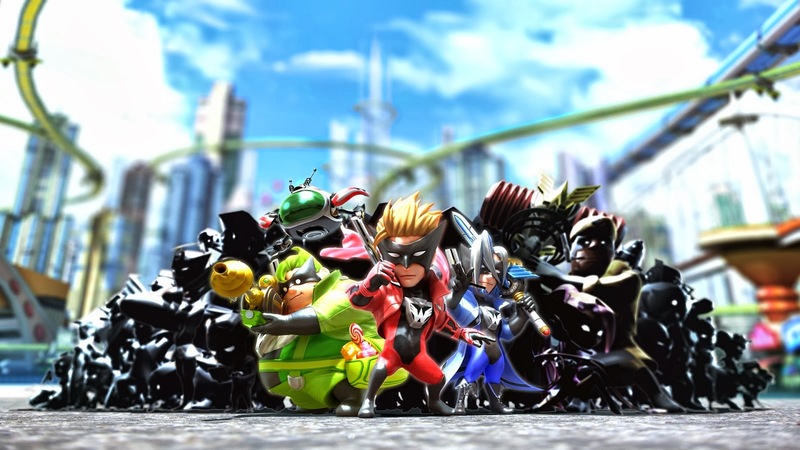 The voice work of The Wonderful 101 is deliciously cheesy, without being obnoxiously so. It's the right level of ham, if that makes any sense. On the music side, the blare of heroic brass plays in numerous levels, tense strings play in boss fights, and an awesome Wonderful 100 theme song plays during epic moments of the game. Platinum Games pulled zero punches on the presentation. 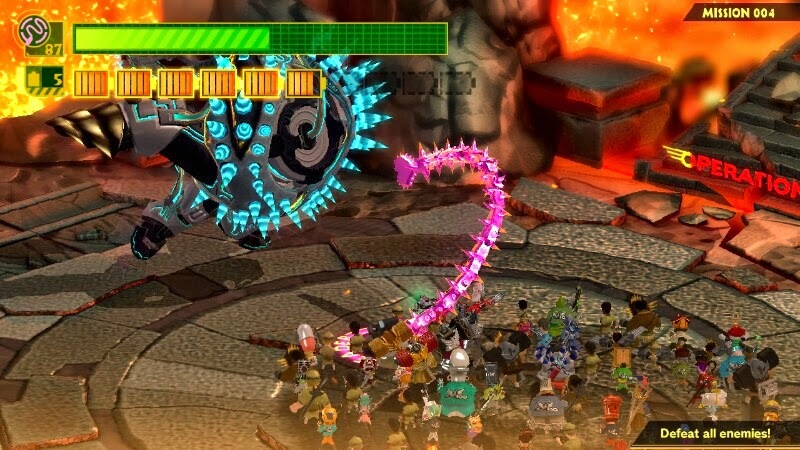 The Wonderful 101 isn't a game for everyone. It has a lot of old school sensibilities under that interesting superhero coat of paint. 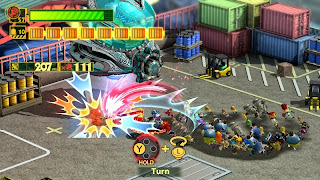 It's a marvelously funny game with a deep and complex fighting system, pending you put the time and effort to learn it. Yes, it's still a challenging game even then, but those Wonderful 100 certainly put a smile on my face far longer than they gave me any sense of frustration. 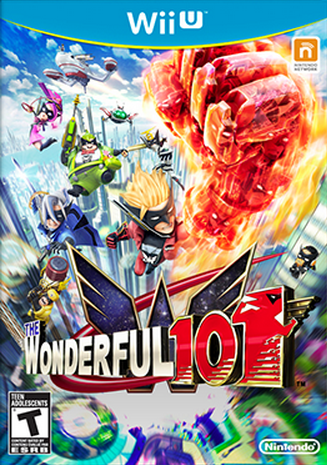 No doubt a title that is going to be an overlooked gem in the Wii U's steadily more impressive library, The Wonderful 101 is another superb jewel in the crown that Platinum Games wears. Here's a special Tuesday edition of SuperPhillip Central's Favorite VGM. We bet your Monday was especially dismal without your weekly dose of video game music, but we hope this Tuesday edition will make up for it. As for what's in store for you, we have Donkey Kong Country, Tales of Vesperia, and Sonic the Hedgehog to make your day better! We start things off with two Rareware games. 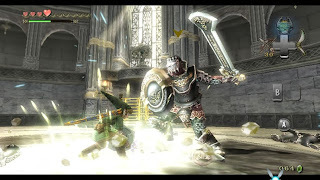 The first is the game that brought the developer to many Nintendo fans' attentions. 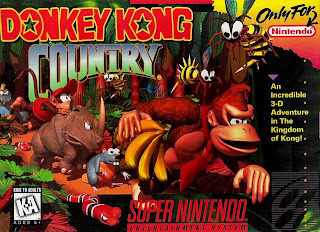 It's none other than the immaculate Donkey Kong Country. Part of what made the game so great was the presentation, and its music is a great part of that. IGN famously stated in their review of this PlayStation 2 RPG classic that the music of Grandia III was highly forgettable. In all honesty, if it wasn't for that line, IGN's own review would be highly forgettable. We believe tracks like Fight V1, among several others, demonstrate that what IGN's review was pure folly. 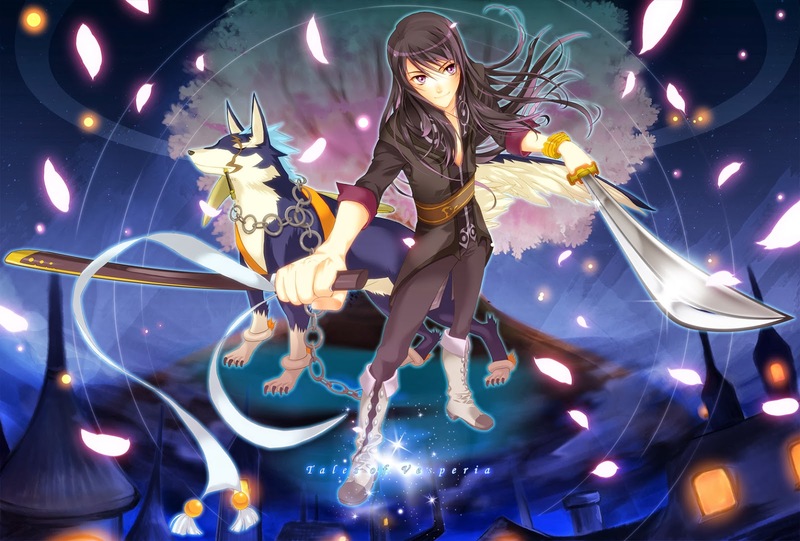 The boss battle theme of Tales of Vesperia, A Bet On This Bet gets quite heated, much like the battles against enemies both big and small in the game. Tales of Vesperia was also released on the PlayStation 3 in Japan, but because we're a North American site, we opted to only list the game as being on Xbox 360. Just so there's no confusion here! For as much crap that Sonic the Hedgehog's 2006 outing gets (and deservedly so), one thing that most everyone can agree on is that the soundtrack is absolutely phenomenal. Even the hubs of the game were less main painful thanks to such upbeat themes such as this one. Don't forget to check out the VGM Database for all things SPC VGM!